This entry was posted in Politics, Transportation and tagged Connecticut Department of Transportation, Jonathan Steinberg, Merritt Parkway Exit 41, Merritt Parkway Exit 42. Bookmark the permalink. So why/how did no one recognize the time restrictions when the project was put out to bid? Is it really possible these conditions were not known before construction began? This is insane. Manafort, as in, the Manafort’s. Really. I’ve given up driving that stretch, it’s far too dangerous. It appears that it’s like many other state projects: we’re told one thing at the time of conceptual drawings and years later we’re stuck with a mess. Problem is, there’s nothing we can do once the state has begun the mess. Is there anything on the roadmap for adding lanes to help ease congestion? I.e. an extra lane on both northbound and southbound i95 would be awesome…even if its an extra fare/toll just for using that lane. Thanks Dan, quite informative. But I have to ask – just what does our elected state Rep. Steinberg, who (as you noted) sits on the Transportation Committee, propose here as a solution? This is squarely a Westport issue, we need some leadership and action here. Jonathan, care to weigh in? Please convey to them that cutting the trees has totally soured ne on their project! It’s a hideous mess! Dan, yes I get the concrete guardrails, but what is that muddy field next to the 41 guard ramp?Looks like they are widening there but it sure is a mess! I believe that’s the staging area. Not positive. *IF* the construction project COULD be operated after 1130pm presumably until 5am or so (before the morning rush hour), how long would the project take before completion? If the work is truly needed and will make that stretch better for the long-term, is there a way to extend the workable hours? Assume the noise would be bothersome for nearby homes, so how have other stretches of the Merritt been allowed “through the night” hours which has been the case in the Greenwich-Darien portion over the past several years. Assume they had the same considerations? Does anyone from the Transportation board know why they have raised the area with fill next to the YMCA at the entrance to Exit 41 North north? It has diverted all the runoff and in the future the access road in and out of the Y will be comprimised with water and ice. There are no drains to eliminate this runoff at present. 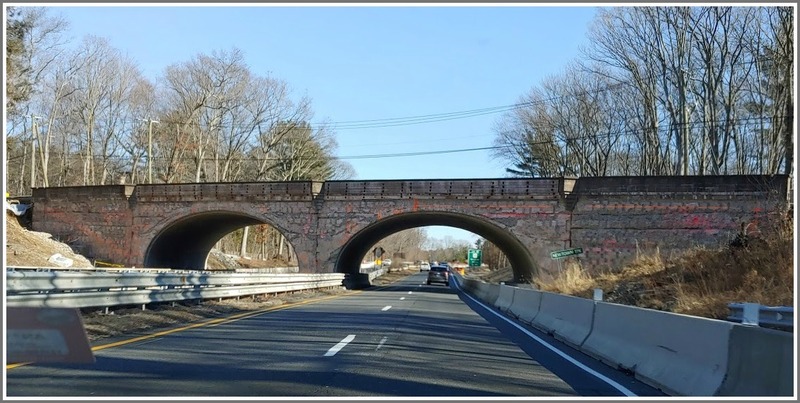 Sorry, but the Merritt Parkway was planned and built in about 1935. The planners had lots of room then and thought that 300 ft of right-of-way was plenty. That was almost 100 years ago, and probably no one thought that far ahead.